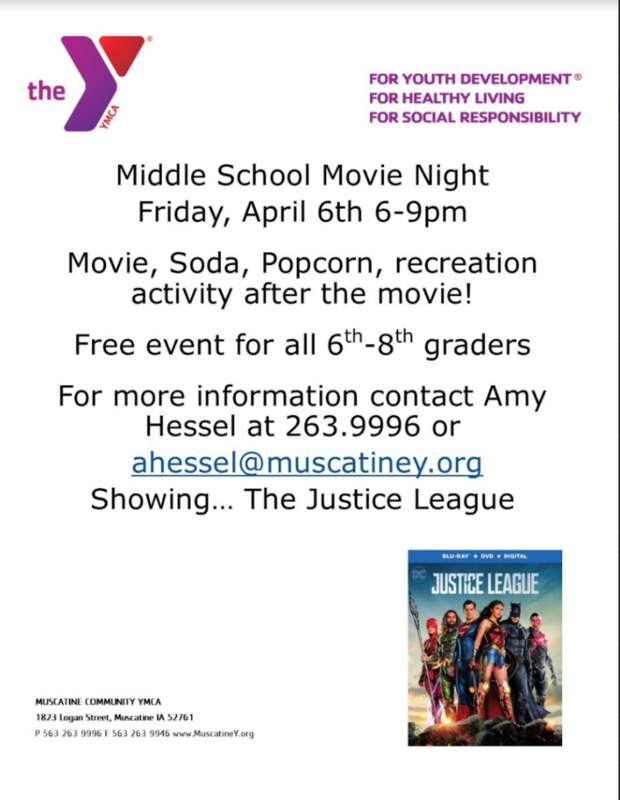 Description: The Muscatine Community YMCA will be hosting Middle School Movie Night on Friday, April 6th from 6-9pm. The event is free for all 6th-8th graders. Justice League will be the movie, popcorn and soda for snacks and a recreation activity after the show! For more information, contact Amy Hessel at the Y, 263.9996 or ahessel@muscatiney.org.